from the traditional culture in Japan. Add this button to your bookmark. Plenty of images, easy to understand, and explaining in the details. 0. When you tie an obi by Chyo Musubi, tie an obiage after you have finished tying an obi. 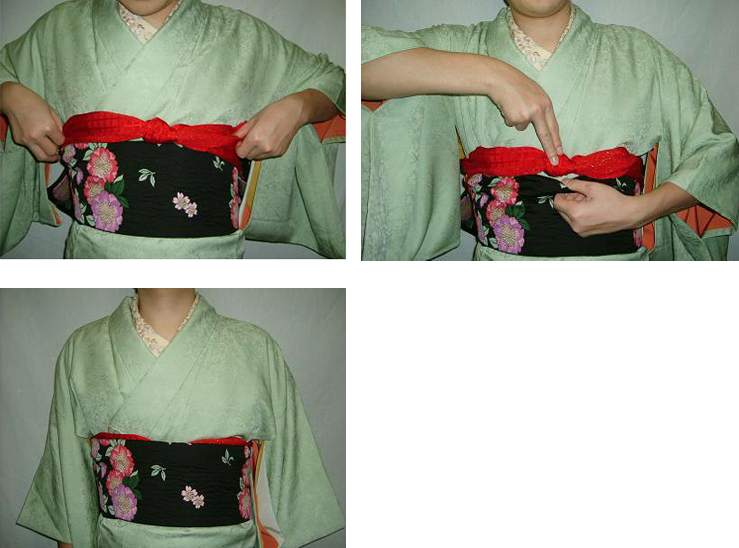 When you tie an obi by Taiko Musubi, an obiage is used for hiding an obimakura and its sash. 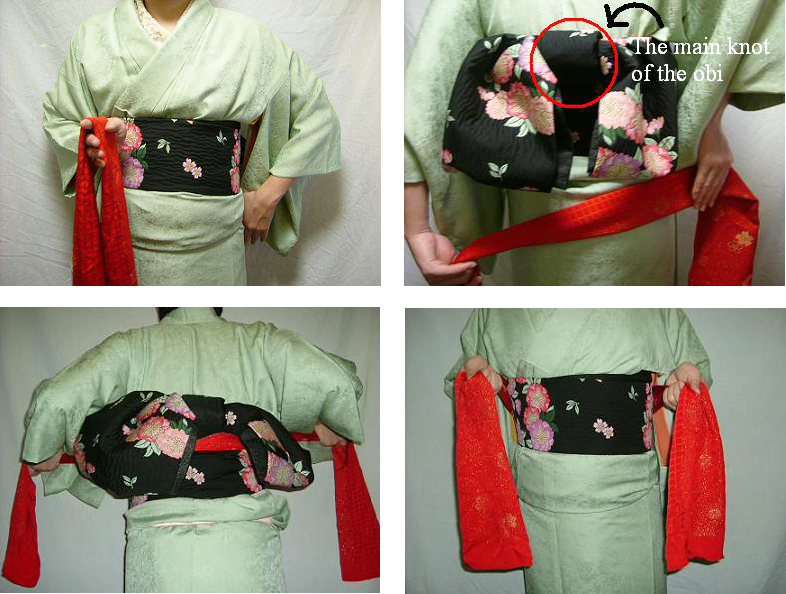 Either Chyo Musubi or Taiko Musubi, an obiage is used for putting up an obi knot on your back, to show the knot more beautifully. 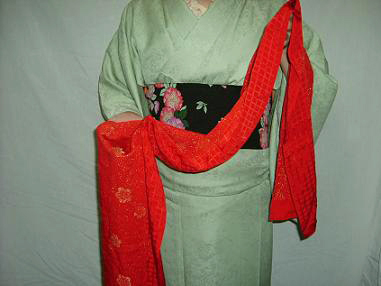 And an obiage itself has usually a nice design and colors, to decorate your kimono. 1. Fold an obiage two times, and hold it by both hands. 2. Bring an obiage to your back, and put it under an obi knot on your back. 3. 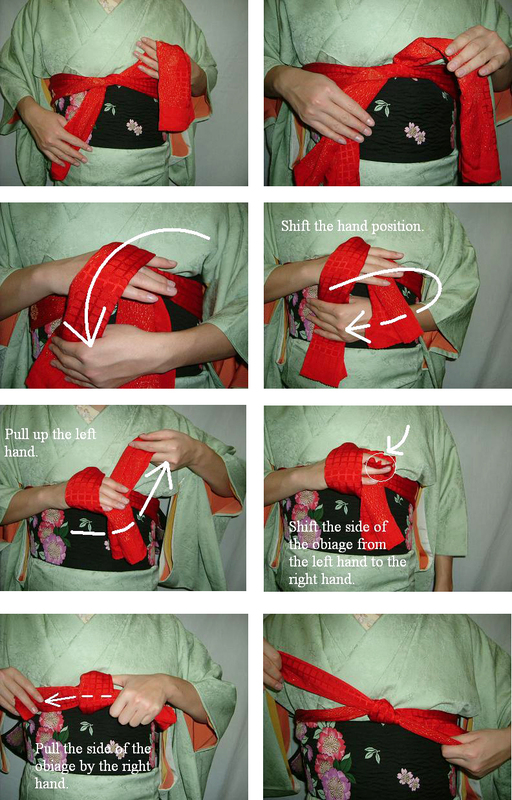 Tie an obiage in the front of your body on the top of the obi. 4. Put an obiage and its knot under the obi, and arrange it neatly. CopyRight © 2007-2011 Japanese Goods. All Rights Reserved.